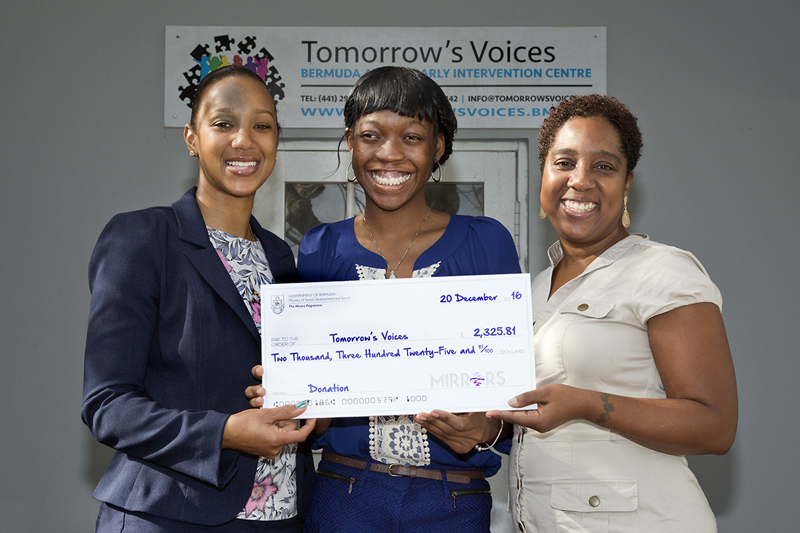 Participants and volunteers of the Mirrors Programme have raised $2,325 for Tomorrow’s Voices in support of their continued advocacy on behalf of Bermuda’s autistic community. The funds were raised through bake sales, a car wash and also grub days in various schools after Mirrors’ participants chose Tomorrow’s Voices to be the beneficiary of their community service project. Tomorrow’s Voices was selected as the recipient after members of the organization gave a presentation to Mirrors participants and volunteers regarding the services that they provide and their benefits to the autistic community.